Back in the day when social media was as developed as dull 2 year old, there was only one way to get into contact with your idol of choice: UFOs. For you K-pop noobs, a UFO is a site where you can post a message to a specific idol and if you were lucky – and I’m talking, skipping in a field of flowers, ponies, and rainbows lucky — he or she would reply. The thing that sucked about this, however, was that you had to be a Korean citizen or have a Korean ID in order to post. There were Chinese UFO sites as well but, at the end of the day, although it was relatively simple and easy for domestic fans, it was an unnavigable ocean for the emerging collection of international fans. Developed by Jack Dorsey in 2006, Twitter is a social networking platform that allows users to send and receive messages of 140 characters or less – including our favorite K-idols. Nearly 7 years later, almost every major idol known to us fans is on Twitter – from BoA to Teen Top‘s L.Joe. 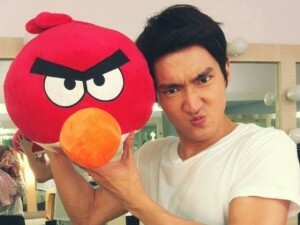 But in the galaxy of K-stars on Twitter, one shines the brightest: Super Junior‘s Choi Siwon. Circa April 20th, 2010, after Shindong went on a spree of bringing his fellow Super Junior members on board this social media bandwagon, Siwon joined the social media platform much to the celebration of his fans. Since then, he’s amassed a large number of followers, a lot of Twitter mojo, and even more love than he had before, as impossible as it may sound. What has made Siwon such a success? It’s a little something — something I like to call a perfect combination of sharing, engaging, and caring. Siwon loves to share on Twitter. And I know what y’all are thinking but believe me when I say he likes to share more than most people. He tells us where he is, what he’s doing, etc. We’re right there with him, every step of the day – from the moment he wakes up (“Good morning beautiful world”) to when he goes to bed (“Good night world”). We see him with other celebrities, in different parts of the world, etc. And not only does he post text, he posts photos, memes, an assortment of things that give us a real good look into god’s gift to K-pop. 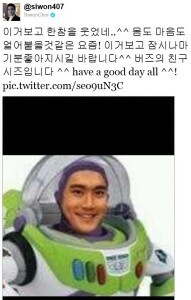 Other idols may share this stuff too but when your posts go something like: “규선이 생일파티 ^^ 은혁씨 생일케익보이시죠^^?” – I’m just like “Oh that’s great, but I don’t understand you.” Siwon, though, really delivers because not only does he post in Korean, he also posts in English. And every now and then, he’ll post in another language that is more accessible to his international fans. These posts may not always make sense, but hey, A for effort. But where Siwon really wins the cake is his engagement. He’s always responding to tweets, following fans back, really giving you your social media’s worth. He’s going places where no idol has ever gone before and we’re loving it. Any fan of Siwon can really follow him, get to know him – he’s bringing idol-fan relationships to a new level and it’s not only energizing for other K-pop fans, it’s inspiring for other idols. Other idols have yet to take note but regardless, Siwon has set the standard. He’s regularly communicating with fans, maintaining his celebrity, and making us a part of his world. And that’s precisely what social media for – and that’s precisely what the cult of celebrity is for. Because Siwon isn’t a self involved, I-think-I’m-so-great narcissist. He wants to share himself with the world, with his fans, with YOU. 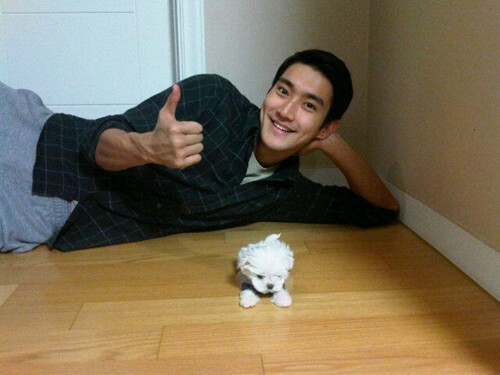 You may be a Hyohunnie or a Taemint, nothing will compare to being a Siwonest. @siwon407 doesn’t make his idolship a fantasy – it’s very much a reality. Follow @siwon407 for this epic delightfulness!